There is currently no official solution to this. We expect Microsoft will push something out in a future Windows patch. If you want pressure-sensitivity now, it's a simple fix: you just have to download a driver from Wacom's US website. 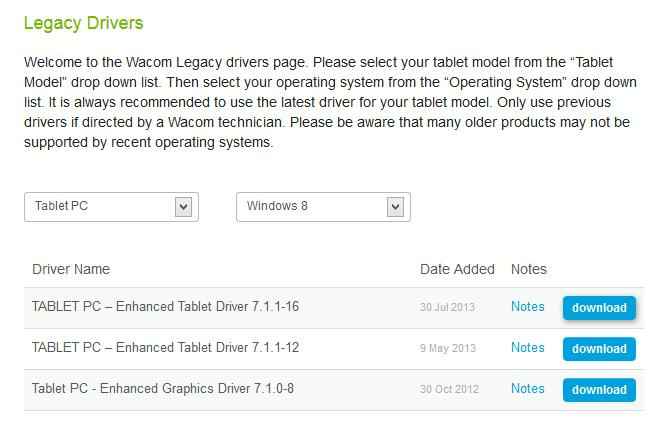 • You can find the driver you need at us.wacom.com/en/support/legacy-drivers. Tip: Make sure you go to the US site as linked above: Australia/New Zealand users going to wacom.com will be automatically directed to the Asia-Pacific site, which does not have the required driver. 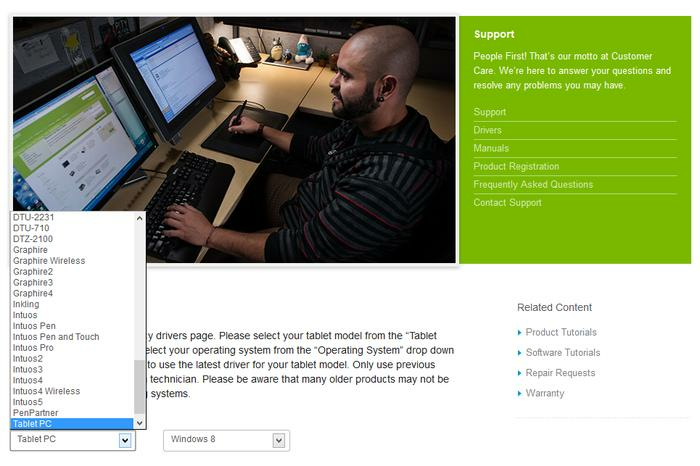 • From the first drop-down box, select 'Tablet PC'. • From the second drop-down, select 'Windows 8'. At the time of writing, we chose the newest version of the 'TABLET PC - Enhanced Tablet Driver', version 7.1.1-16 from 30 July 2013. If there's a newer version when you read this, we suggest you try that instead. Ignore the 'Tablet PC - Enhanced Graphics Driver' options - they won't help you. • Click 'download' next to the driver of choice, then choose 'run' or 'open' (depending on your browser). • Follow the instructions on screen. • At the end of the setup process, you'll need to restart your Surface Pro. Upon starting Photoshop Elements after the restart, we found pressure-sensitivity worked correctly.